E-Z Cage Card Holder is ideal for helping to keep your records straight. 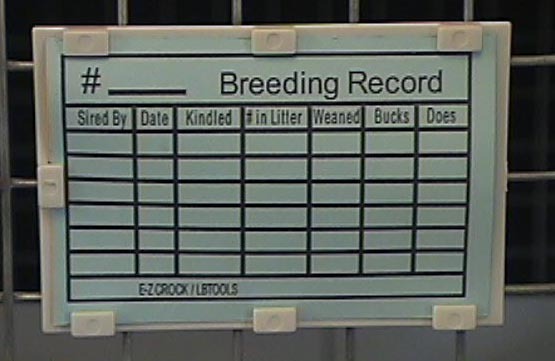 They just clip over the wire and then you can insert one of our Breeding/Show Cards or our Breeding Card. Both of our cards are printed on both sides. The E-Z Cage Card Holder is made of durable ABS material. Check out our complete line of E-Z Crock Products (crocks, feeders, mats, etc. ).